I have always been fascinated with large African animals, particularly the hippo and rhino. In my work I tried to portray the contrasting nature of the animal. Hippos appear docile and look harmless but this contrasts with the reality of the animal being the most dangerous of all African animals. Hippos kill more humans than any other animal so I wanted to capture the aggressive nature of the beast and oppose it to the widespread perception of a gentle giant. 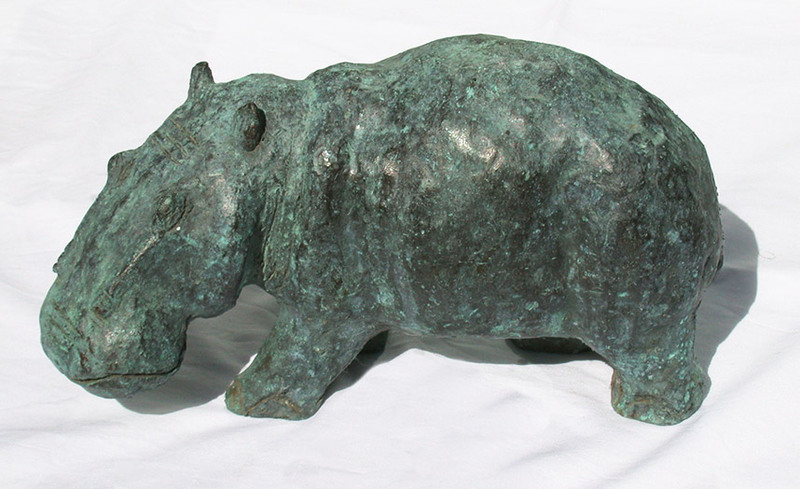 My other influence was an ancient Egyptian sculpture of a hippopotamus known as the 'Fayence' sculpture, c1500-1300BC.